A morning drive not to long ago…. “As we drive through the empty river bed, our wheels churning effortlessly through what felt like a pit of sinking sand. 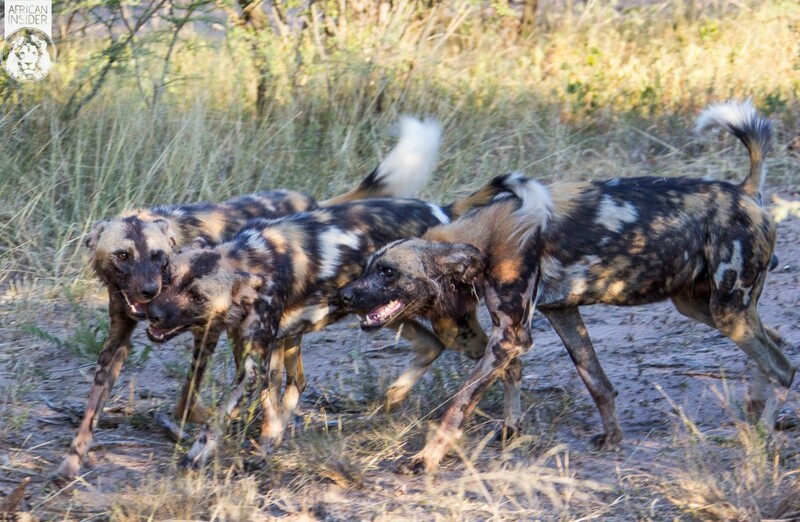 We are careful to keep a comfortable distance between us and the pack of Painted Hunting Dogs we were following. Much like wolves, these relics of a forgotten past, hunt in packs and are easily Africa’s most successful predator on the hunt. And that’s exactly what these dogs are doing. A sudden eruption of excited squeals and an array of white flashing tails from the pack, means only one thing could be happening. The dogs had found something and are moving into action. We race across the channel to get a better look. As we approach, the sight of dogs jumping against a tall tree frustratingly yelping increased the thrill and excitement to fever pitch. What we found was the wildest of the big cats. An angry female leopard in the branches above; snarling down at the frustrated dogs. 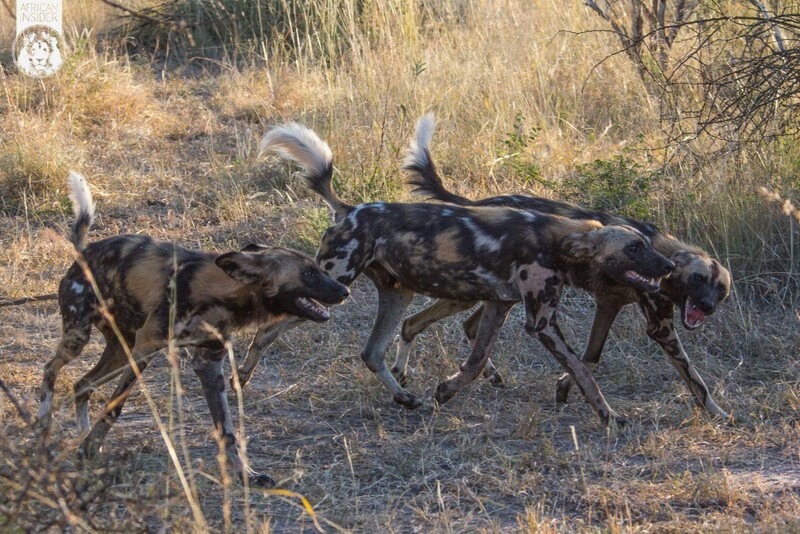 But rather than staying in her position of safety in the branches just out of reach of the dogs snapping jaws, the female was unsettled and would not hold her position. In a one-on-one fight, a Leopard, particularly a male, would have the drop on a single hunting dog. In this case however, the power of the pack ensures the solitary cat is not going to take any chances. 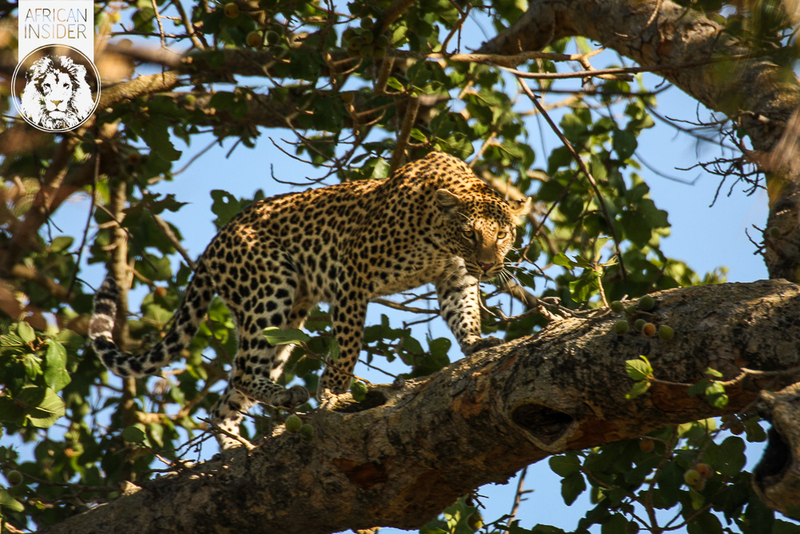 In an acrobatic display of brilliance the leopard suddenly leaps from her tree to another tree alongside her and must have cleared a gap of at least 3 – 4 meters in the jump. The leopard stared worriedly at the dogs below her until they finally started to lose interest. Their hunger overtook them; and they continued on their hunt rather than sticking around for any of this age old tale; of cats teasing dogs. As the sun was going down we followed the pack away from the treed leopard, but I secretly suspected it would not be the last we would see of her on this special evening. 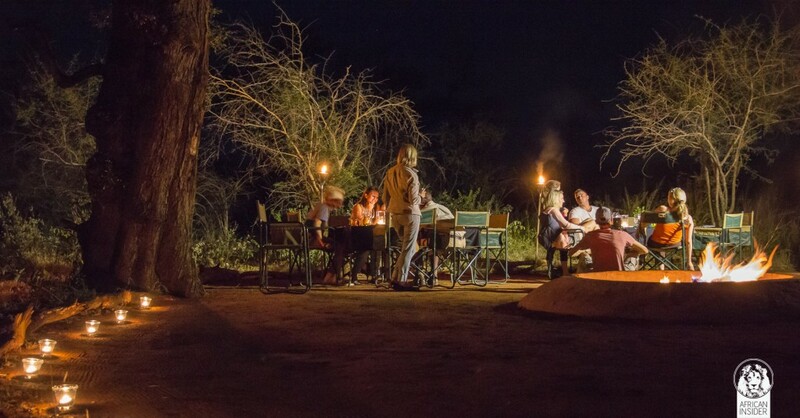 After enjoying a sundowner drink a short distance from the dog pack we headed back to the where we had left the female Leopard. My suspicions were confirmed. 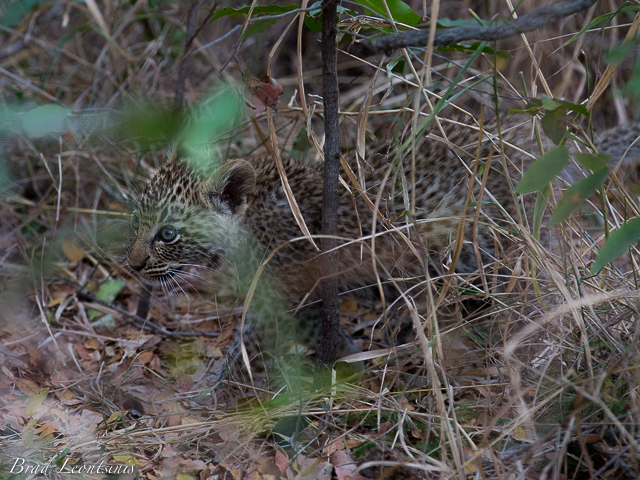 We found her, proudly lying with a tiny cub biting her tail. 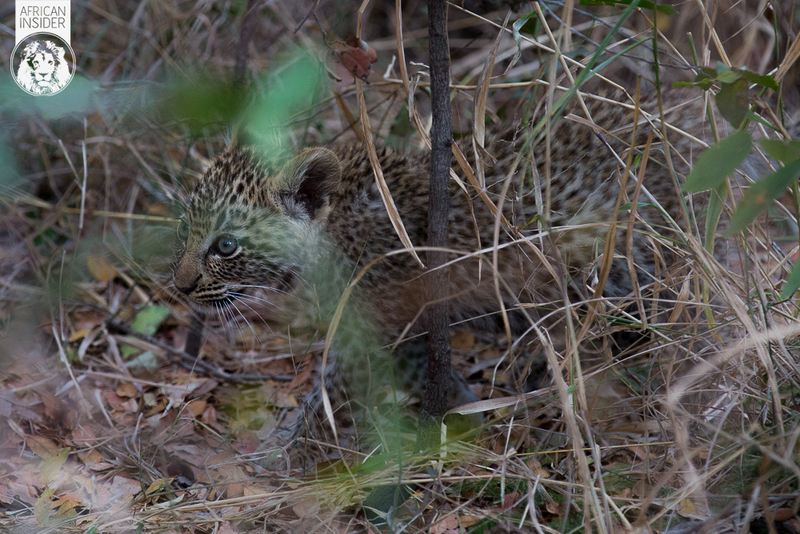 The cub had been unable to climb the tree when the pack of dogs arrived, so it must have quickly hidden in a nearby bush, while the mother worked hard to distract the frustrated dogs. Over dinner we recount the tales as each of us experienced it. To be continued, by you, soon.